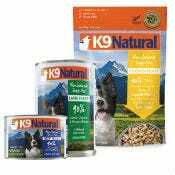 Founded in 2006, K9 Natural has maintained their passion and drive for providing natural, quality pet foods and treats to improve the overall well-being of dogs and cats across the globe. Every protein-rich food, chew, and treat they produce contains ingredients sourced from the beautiful, fertile, and unspoiled country of New Zealand. 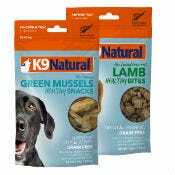 K9 Natural freeze-dried, air-dried, and frozen food and treats incorporate free-range, cage-free, and grass-fed protein sources, wild-caught sustainable seafood sources, and fresh vegetables to provide hearty and healthy recipes for our pets. 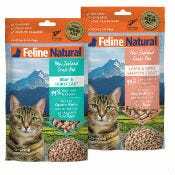 Not to mention, they keep a very close eye throughout the manufacturing process and ensure that each of their products that leaves their facility in New Zealand is of human grade quality.